Don Your Aprons!Tell us how much time you spend in the kitchen and we’ll tell you how healthy you are. No, there’s no mistake there. We didn’t mean the gym. We mean the kitchen! 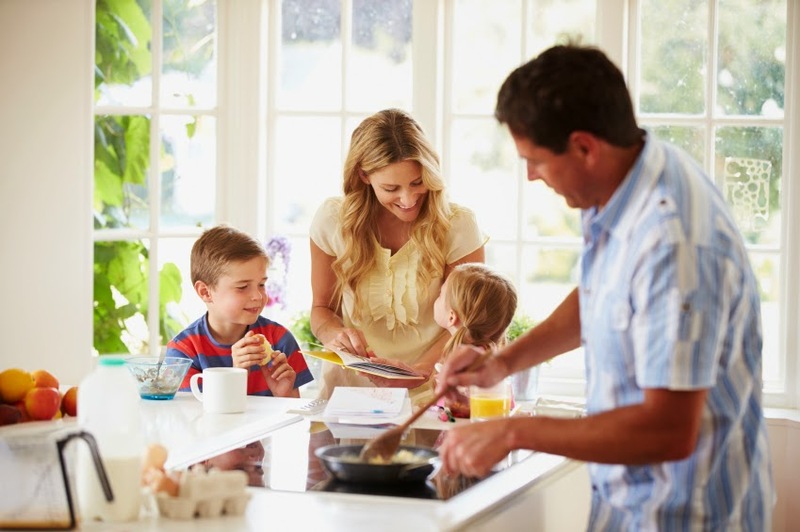 A recent study, published in Public Health Nutrition, compared the diets of those who cook meals home frequently with those who do so infrequently. Researchers found that people who cook most meals at home consume healthier meals and fewer calories. That holds true whether they eat meals at home or at restaurants. Why? First of all, home cooks have more control! Most foods prepared away from home typically contain more fat, salt, and sugar. The opposite also holds true. Home cooked meals are generally lower in these three ingredients. That is why the most frequent home cooks were found to consume about 200 fewer calories per day. Home cookers also have a better sense of portion control and an awareness of what a healthy, nutrient-dense meal looks like. They also tend to eat more fruits and vegetables. Bookstores are crawling with cookbooks. Television has plenty of food channels. Markets are around every corner. Unfortunately, home cooks are rare. Many families have given up on home-cooked meals and replaced them with takeout and other sources of meals outside the home. Why not make it a goal to cook at least 3-4 times a week (heating up a frozen meal doesn’t count as cooking). This will likely improve the quality of your diet. One barrier to cooking is the cost. Many believe it’s more expensive. Buying basics in bulk, produce in season, and fresher ingredients rather than ready-prepared convenience foods is actually economical. Can’t cook? You don’t have to be a master chef! There are plenty of recipes and food guides to get you started. Start with the basics. Learn how to make a tasty vegetable soup, a healthy salad and dressing, or a simple rice or grain dish. Experiment with different herbs and spices to add extra flavor to your dishes. Take a cooking class every so often. Learn how to work with the vegetables currently in season. Parents, include your children in the cooking process. You’ll teach them important skills for a healthier future.